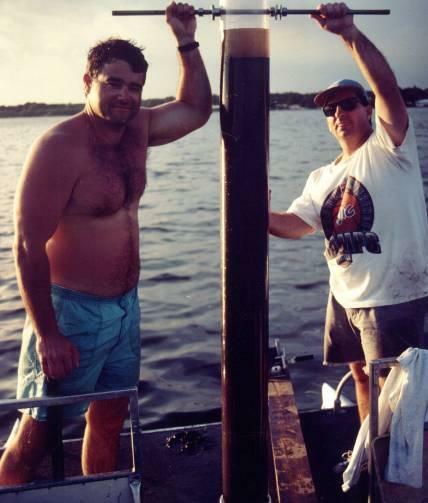 In September 1998, ERD was hired by the City of Winter Park to update and revise a nutrient and hydrologic budget for the Winter Park Chain-of-Lakes prepared by USGS during 1992. The primary objective of this project was to gather information so that impacts from groundwater seepage and internal recycling could be included in the nutrient/hydrologic budgets. ERD personnel installed 30 seepage meters to determine the quantity and quality of seepage entering Lake Virginia, Lake Osceola, Lake Mizell, and Lake Maitland. The seepage meters in each lake were installed in shallow and deep areas throughout the lakes, providing a wide range of land use and topographic characteristics in upland areas adjacent to seepage meters. Water samples collected from the seepage meters are being analyzed for nutrients and general parameters. 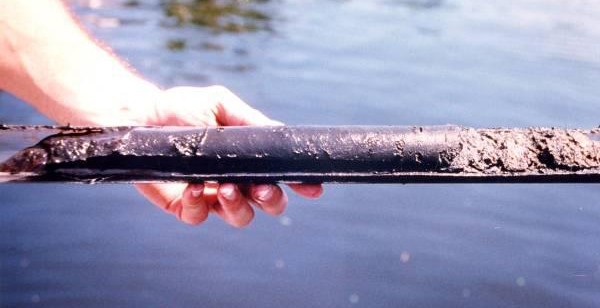 In addition, four separate sediment core samples were collected in each lake to evaluate internal recycling of phosphorus under oxic and anoxic conditions. 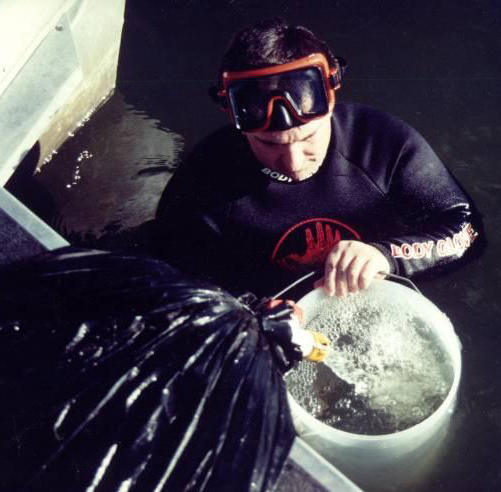 A standard lake bottom sediment core sample was also collected at each of the 16 sites for visual inspection, and the 0-10 cm layer of the core was sectioned off for laboratory analyses. Utilizing the estimated nutrient and hydrologic budgets, an interlinked spreadsheet-type phosphorus-limitation trophic state model was developed for the Winter Park Chain-of-Lakes and calibrated using long-term water quality data. The model was used to evaluate the water quality impact of various proposed management and retrofit alternatives.